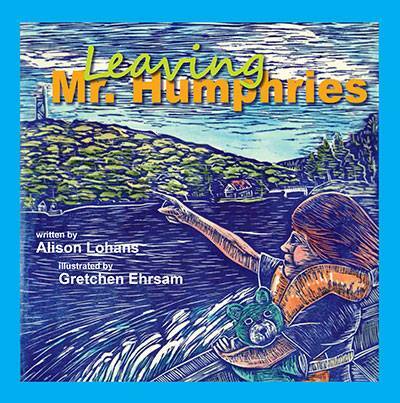 Alison’s latest picture book, Leaving Mr. Humphries, is now available! Leaving Mr. Humphries is a gentle story about a young boy and his beloved stuffed bear, Mr. Humphries, as they spend time with his grandfather at the cottage. The vibrant illustrations were created by Alison’s cousin, Gretchen Ehrsam of Seattle. Gretchen carved the illustrations in linoleum blocks, printed them on special paper, and then after the ink dried, added watercolour to finish the unique effect. Leaving Mr. Humphries is a finalist in the Children’s Literature category of the 2014 High Plains Book Awards, winner to be announced October 25. It was also a finalist in the Children’s Literature category of the 2014 Saskatchewan Book Awards. For more information, visit the book page.